Multiple Feeds: Facebook is giving users much more control over what they see by splitting up News Feed into several unfiltered feeds. While brand content is not included in all of these feeds, early reports indicate that no feed will be off limits to advertising. Following Feed: Do users really want to see more brand content? We’re about to find out due to the new Following feed. If users ignore this feed, it could be bad news for brands. Bigger Content: The new News Feed highlights big, beautiful imagery, and brands need to take advantage of this. It could mean using more images and photos in posts, getting more involved in Instagram and Pinterest or investing in a designer or photographer. Facebook Ads: Content is bigger, and so are ads. Fewer spots now exist in the sidebar, but the new feeds open up new ad spaces that didn’t previously exist. If Facebook allows brands to pick their feeds, this could open up some very interesting — and highly targeted — opportunities in the future. 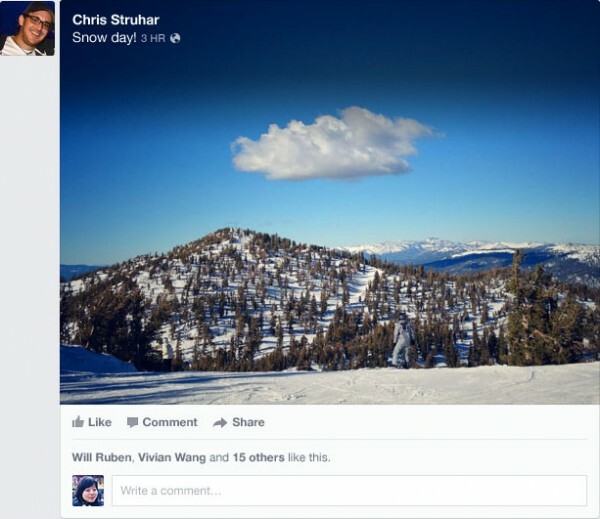 Cover Photo Stories: It may be time to take a second look at your cover photo because it could be the difference between a user liking or ignoring your Page due to the way Like stories are now featured more prominently in the News Feed. No Ticker: I may be in the minority, but I loved the Ticker. It was also a way to surface friend engagement with Pages that didn’t occur within the News Feed. It’s not clear yet if these stories will move into the News Feed, but if not this could negatively impact brands.